You can Ritual Summon this card with “Chaos Form”. Must be Ritual Summoned. Your opponent cannot target this card with card effects, also it cannot be destroyed by your opponent's card effects. If thi.. If this card is Normal or Special Summoned: You can target 1 face-up monsteryour opponent controls; negate its effects. When your opponent activates a card or effect (Quick Effect). You can shuffle th.. Reveal 3 cards from your Deck that each meets at least 1 of the critera listed below, your opponent randomly picks 1 for you to add to your hand, and you shuffle the rest into your Deck. You can only ..
Banish this card, and as many cards as possible from your hand, field and GY, face-down, and if you do Special Summon up to 3 copies of "Blue-Eyes White Dragon" from your Deck. You cannot Normal or S..
Target 1 "Blue-Eyes" monster you control; this turn, that face-upmonster is unaffectedby card effects, except its own, it cannot be destroyed by battle, also any opponent's monster it battles is destr.. Send 1 Dragon monster from your Deck to the GY, then, if that monster in your GY is a Dragon Normal Monster, you can send 1 more Dragon monster from your Deck to the GY. You can only activate 1 "Drago..
1 "Cyber Dragon" monster + 2 Machine monsters. If you have a Machine Fusion Monster(s) in your GY, your opponent cannot target this card with card effects, also it cannot be destroyed by your opponent..
You can Special Summon this card (from your hand) by Tributing 1 Machine monster. Once per turn: You can Fusion Summon 1 Machine Fusion Monster from your Extra Deck, using monsters from your hand or f..
Fusion Summon 1 Fusion Monster that lists a "Cyber Dragon" monster as material from your Extra Deck, by shuffling Fusion Materials in your possession listed on it into your Deck, that you control or a..
Equip only to a Machine Fusion Monster. Your opponent cannot activate cards or effects during your Battle Phase. At the end of the Damage Step, if the equipped monster attacked an opponent's monster: .. Tribute 1 “Cyber Dragon”; Special Summon 1 Fusion Monster from your Extra Deck that lists a “Cyber Dragon” monster as material, but it cannot attack directly, and it is destroyed during the End Phase ..
"Cyber Dragon" + "Cyber Dragon" + "Cyber Dragon". A Fusion Summon of this card can only be done with the above Fusion Materials. 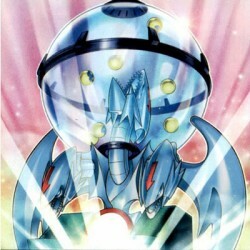 If this card attacks a Defense Position monster, inflict piercing battl..
2 or more "Cyber Dragon" monsters. A Fusion Summon of this card can only be done with the above Fusion Materials. When this card is Fusion Summoned: You can target Spell/Trap Cards on the field, up to.. If "Cyber Dragon" is in your GY: You can activate 1 of these effects. If you have 3 or more "Cyber Dragons" in your Graveyard at activation, you can activate both effects and resolve in sequence. You ..
Fusion Summon 1 Machine Fusion Monster from your Extra Deck, using monsters from your hand or your side of the field as Fusion Materials, and it gains ATK equal to its original ATK. During the End Pha.. If you control no monsters: You can banish 1 other "Blackwing" monster from your hand; you cannot Special Summon monsters from the Extra Deck for the rest of this turn, except DARK monsters, also plac.. Cannot be Special Summoned. When this card is Normal Summoned: You can target 1 of your banished Level 4 or lower "Blackwing" monsters; Special Summon it in Defense Position. You can banish this card ..
Equip only to a "Blackwing" monster. It gains 500 ATK/DEF. You can only use each of the following effects of "Glowing Bowgun" once per turn. :- If the equipped monster destroys an opponent's monster b.. When a monster your opponent controls activates its effect: Send 1 face-up "Blackwing" monster you control to the GY; negate the activation, and if you do, destroy that card, then you can Special Summ..